The end of April is near. 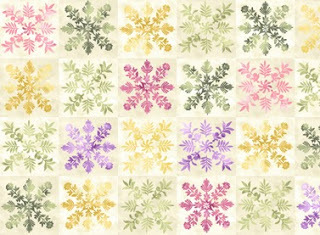 We at Beehive Quilts are preparing the May block of the Wildflower Rhapsody BOM. We expect it to ship either Monday or Tuesday, next week. So be looking for it by the end of next week in your mail box. Did you all get a chance to finish last month's block? Mine is half done. Hope to finish it today. We received pictures of two finished blocks for last month. Their pictures are posted on this blog. Would love to see more. The first picture sent in was Renea Aldrich's. She will receive 4 fat quarters just for sending me a picture of her finished block. Good job, Renea. There will be a similar award this next month, too, so watch for what you could win. This month it will be different. I realize some of you will receive your block quicker depending upon the USPS delivery schedule. So what will be done from now on is that for everyone who sends me a picture your name will go into a drawing. The drawing will be held at the end of the month. The name that is drawn will receive whatever is chosen to be the gift for the month. You can send it to me electronically or through snail mail, as long as it is received before the last day of the month each month. That way everyone has a fair chance of winning the gift. Thank you, Elisa, for completing this block. ﻿ In April's block package you received a half yard cut of the brown fabric and some general instructions. Those instructions stated you would be fussy cutting your brown fabric (#14) for several blocks. You can see Elisa cut her brown fabric so a flower would show up in each small block. That is the reason you received it all at one time. You get to decide where that fabric will be placed. Remember you will use it throughout the 12 blocks. Cut it wisely. We have also developed a "BOM Block Insurance" package. We are selling a package of 1/8 yards cut into fat eighths, which is 9" x 22" approximately. There are 14 different cuts - one cut for each fabric used in the main 12 blocks. This package will give you the insurance that you will have enough fabric for those of us that cut and then read the instructions. You can find the package at http://www.beehivequilts.com/bomfat8ths. As always, have fun with this block. Post your comments about the blocks here (see below). We love to read your comments. To wash, or not to wash, that is the question. Whether it be nobler. . . .
"I never pre-wash my fabric. It changes it. I learned to be a seamstress with clothes before quilting. We always pre-washed the fabric, because you did not want the item to shrink after it was made. I understand most people pre-wash quilt fabric to keep it from running and to take out the sizing, which used to be done with formaldehyde. Now it is not done with that chemical. Granted the fabric does have chemicals in it when it is new. Most people turn around and put the chemicals back in with sizing after washing. So you are adding a step that is not needed, plus it never looks the same. As far as running goes, most good quality quilt shop fabric does not run. There are several color fast sheets you can put in when you do wash the quilt that will capture any runs if there is a need. When you wash small pieces like what you are getting in BOM cuts, you wind up with warped fabric and hard to make it fit the needed dimensions. I cannot tell you exactly what to do. I will tell you I do not pre-wash it. But again, I do not pre-wash any fabric for quilts. The link above does make a good point. 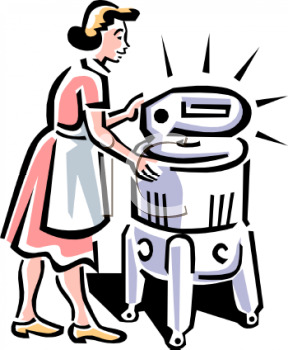 Many people wash their quilts after making them and before they are sent to that loved one. When washing after their are quilted, it makes the quilt look totally different - more used looking. Many people love that look and do not pre-wash, but post-wash instead. Again personal preference. Connecting Threads makes the point that all must be aware of. That is to not share pre-washed and not pre-washed fabrics in the same quilt. It will make for some unusal looks after the quilt is washed again. So if you are going to pre-wash your fabrics, pre-wash all of them for the same quilt. I like the above site. It says pretty much what the others say, but then it goes on to say how to check to see if it will run first. It also tells you how to pre-wash your fabric. It emphasizes what I said above, DO NOT USE BOTH IN ONE QUILT. There are many other sites you can go to by typing in "wash quilt fabric vs not wash" into your search engine [I used Google]. I would be willing to guess they all say the same thing: It is a personal preference on the quilter's part. My one suggestion would be not to wash BOM [block of the month] cuts. The cuts usually are just barely enough to make the block you need. The shrinkage would take it down to where you might not have enough fabric to make the desired size. I hope this helps with the question on whether to wash or not to wash. No right answer to that question. Quilt insurance! Yes, quilt insurance. Make a mistake in cutting? Cat hide your piece? Wash the fabric and it shrank (not recommended, by the way on such small pieces of fabric)? Whatever the reason, here is a chance to be able to correct your mistakes. In this kit is an immediate fix. Each kit contains 1/8 yard of fabric cut into fat eighths. More than enough to fix several oops through out the BOM year. What you do not use could be incorporated into a pillowcase to go along with your quilt. 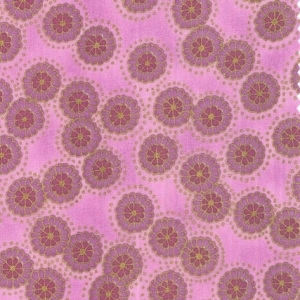 This purchase is available for the members of Beehive Quilts Wildflower Rhapsody BOM only. Go to http://www.beehivequilts.com/bomfat8ths to order the kit. 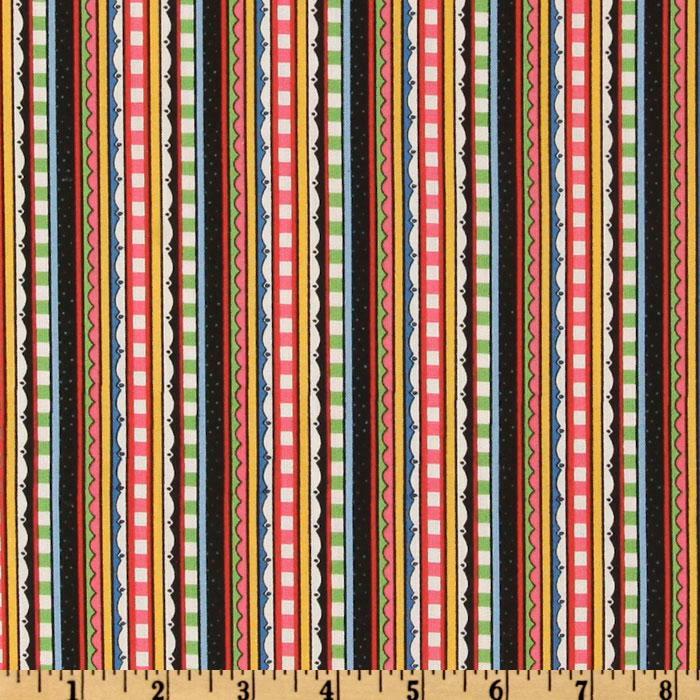 Fat eighths of a yard is approximately 9" x 22" There are 14 different cuts in this kit! Please do not order this if you are not a member of this BOM. If any are left over they will be offered to anyone after the BOM is over in April of 2012. Oh for those that have not signed up yet, there is still room to accept someone into the BOM, if you are interested. Just sign up. You will receive all the back blocks with the first month after you sign up (with a $12.95 charge for each block already missed). Go to http://www.beehivequilts.com/wildflowerrhapsody to sign up for the BOM itself. We have received a lot of information back about this first block. What we have heard so far is that you love the fabric. It is beautiful. This block was a fairly easy block. "My package arrived late yesterday afternoon. I was hoping for another PNW rainy day and of course it happened. I have spent the day sewing. I love the fabrics. The chocolates and pinks are stunning." Below is the picture of her block. She will receive four fat quarters. They will be mailed to her with her May block. "Here is my photo of finished Block 1. I'm sure you've received a bunch by now, but just wanted to join in the fun. Thanks again for running this BOM. 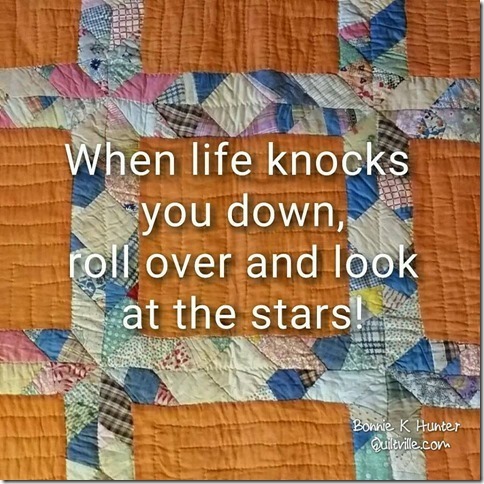 This quilt is gorgeous and though my piecing and quilting aren't perfect, I thoroughly enjoy the process and results." I would love to post any other pictures and quotes you might have about these blocks. 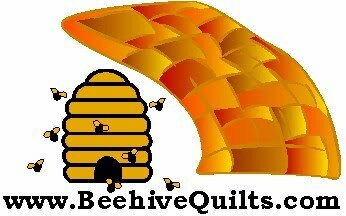 Feel free to e-mail them to me at contact@beehivequilts.com. Or post a comment below. AuburnCalifornia - this weekend! Plan on being there. 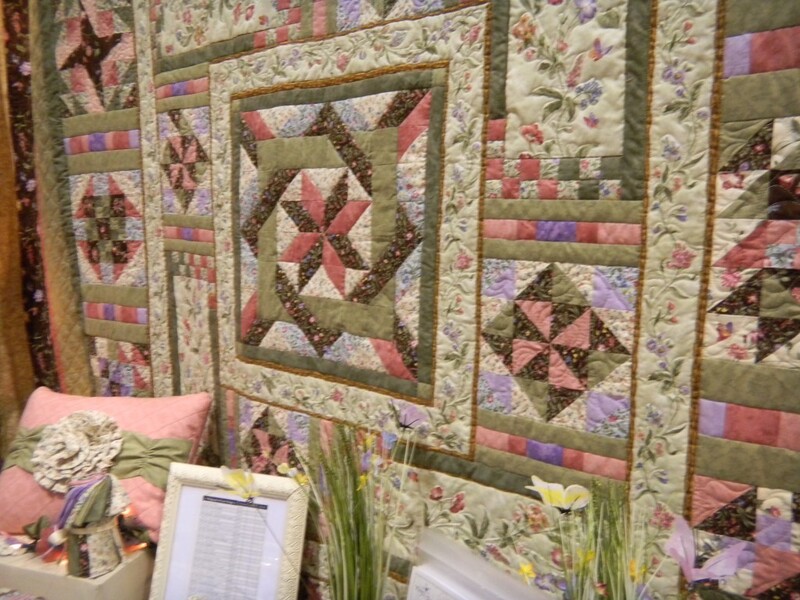 Foothill Quilters Guild Annual Quilt Show is this Saturday & Sunday, April 9 through 10, starting at 10 a.m. Go to the Gold Country Fairgrounds in Auburn. Easy to find. Head towards downton off of I-80 and follow the signs. This is a great show. I am going and will post pictures I take on Monday. 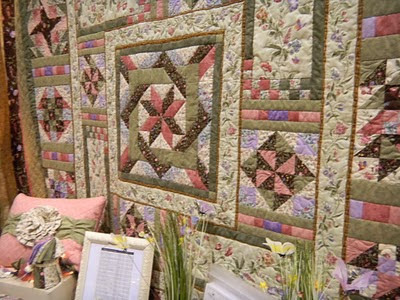 APRIL 9 AND 10, 2011 FQG QUILT SHOW: "PATTERNS IN TIME" - quilting through the ages encompassing traditional as well as contemporary pieces is the theme for the 2011 Foothill Quilters' Guild Quilt Show, April 9 & 10, 2011. Gold Country Fairgrounds, 1273 High Street, Auburn, CA. Over 300 Quilts will be on display, a fashion show has been added, wonderful vendor booths, our Country Store, KIDS' CORNER, door prizes, café, raffle baskets, demonstrations, and much more. OPPORTUNITY QUILT: The enthusiasm for ticket purchases has been wonderful. Remember, each dollar adds up to support activities for our guild and our sister guilds. This year's Opportunity Quilt: "PRINCE'S PLUME." Quilt Makers: Peggy Brewer, Lynn Cooper, Sandy Crane, Marylee Drake, Carol Hunt, Rita Kennedy, Laura Rucker, and Chere Yamasaki. Quilted by Dereck Lockwood. The drawing for this quilt will be at the 2011 Foothill Quilters' Guild Quilt Show on Sunday, April 10, 2011. Blocks have been mailed. 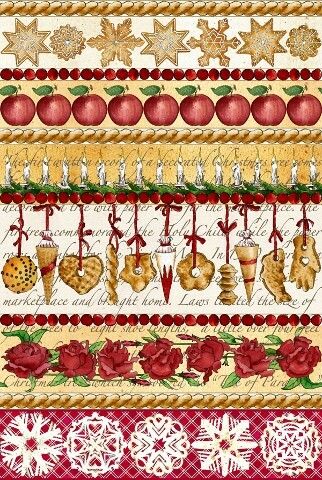 Many of you have reported back how lovely the fabric is. We have one person that has finished their block. I will post who she is soon. I think she made her block the second she got it in the mail. I personally belong to four different BOMs and just joined another one, plus this one. I often cut something wrong and there is seldom enough fabric from the initial pieces to re-cut. So we have decided that we are going to put together a Block Insurance package. 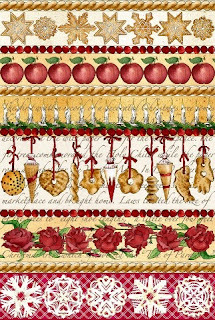 It will be a Fat 1/8th Bundle of the first 13 fabrics used in the quilt. 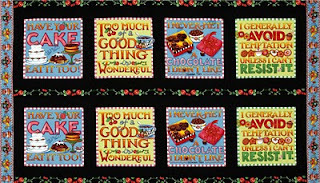 It will be offered for $17.95 on our website www.BeehiveQuilts.com. We will have those cut and bundled and ready to ship before the next block comes out. If you need one sooner, please let us know. 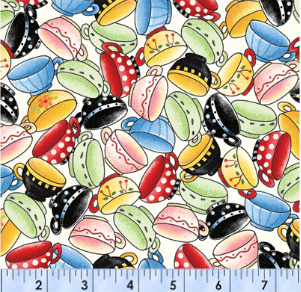 We received in new fabric yesterday, so I sat right down and listed it on http://www.beehivequilts.com/. It is great fabric. Three bolts are Mary Engelbreit and oh so charming. Check it out. We set it up so you can order in 1/4, 1/2 and whole yard increments. Today I was able to list more and there is more to come. 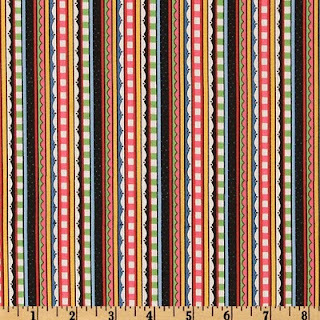 The Aloha Quilt Fabric from Elm Creek Quilts and offered through Red Rooster Fabrics. Above is the featured artist at this show. Her name is Geraldine Nall. She is the "Queen of Miniatures." And a queen she is. I could not believe the beautiful but tiny quilts she had made. Some are featured below. The quilt behind her in the above pictures is her's, too. I wish I would have measured this. It is probably 12"to 18" tall. Darling little scarecrows. Do not think this is a larger quilt block. It is less than 3" square. Can you believe the patience it must have taken Geraldine to sew this together? It is really hard to fathom how small the piecing is in this finished quilt. Those rosettes are normal size, if that helps any. Same with this heart quilt. The rosette is normal sized. This is a normal sized quilt. I just love it. 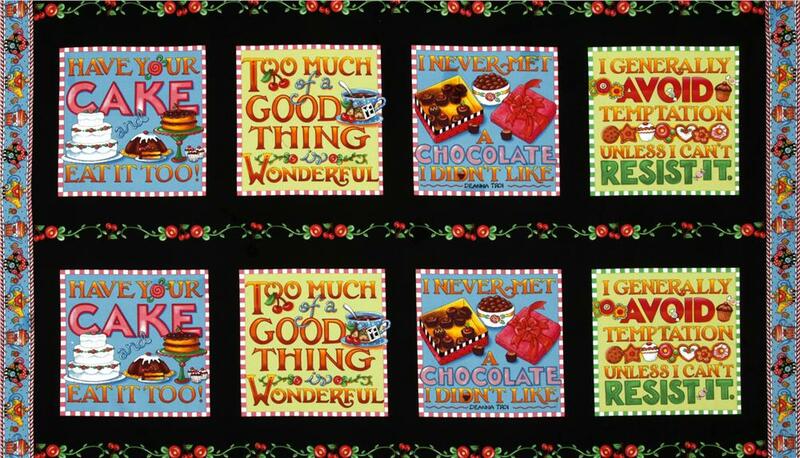 I am making this quilt in reds and pinks. Now I am excited to get it finished. It was supposed to be my Valentine's Day quilt, but I am still stitching the blocks together. The guild had a challenge to make a patriotic quilt. This one was stunning. All of the challenge quilts will be donated to active service men. What an honor. I took a lot of other pictures to show here. But I took them by turning my camera to fit the whole quilt in. Even though I have editing software, when I load them here they turn on their side again. 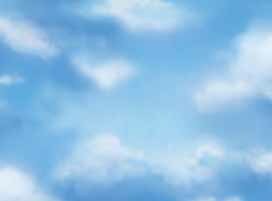 So you only get to see the few above. I apologize because there were some stunning quilts I wanted to show you, including my standard Halloween pictures. For all of you who signed up for Beehive Quilts' BOM, the first block was mailed out today. Watch for it to be in your mail box soon. For anyone who did not sign up, we still have space for 6 more people. I will keep it open until they fill up. So if you are still interested, sign up soon.